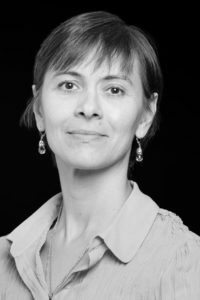 A native of Moscow, Russia, Nadia Pavlenko graduated from the Vaganova Ballet Academy in St. Petersburg (class of 1989.) Following graduation, Nadia danced as a Soloist at the Stanislavsky and Nemirovich-Danchenko Moscow Music Theatre. Eloquent and expressive, as well as a classically graceful dancer, Ms. Pavlenko performed a long list of principal roles in major ballets including The Sleeping Beauty, Swan Lake, Giselle, Paquita, Coppélia, Don Quixote and many others. She toured Russia, Germany, Italy and the United States. Ms. Pavlenko continued her education at the Rimsky-Korsakov St. Petersburg State Conservatory. She is known as a talented and extremely dedicated pedagogue who has been teaching classical ballet for the past 17 years. She was recognized by the YAGP judges as an Outstanding Teacher and has taught Master Classes throughout the United States. Ms. Pavlenko has taught at numerous summer intensive programs including Ballet West Academy and Ellison Ballet. Through her persistence and attention to details, Ms. Pavlenko’s students have been awarded numerous top prizes including Grand Prix, scholarships and received job offers at Tanzolymp (Berlin, Germany), VK International Ballet Competition, International Dance Competition (Spoleto, Italy), USA International Ballet Competition (Jackson, MS) and the Asian Grand Prix International Ballet Competition (Hong Kong). Ms. Pavlenko has taught at numerous summer intensive programs including Ballet West Academy and Ellison Ballet. Prior to joining International Ballet Academy, Ms. Pavlenko served as Principal of the Ballet West Academy in Salt Lake City, Utah.